Play more to win prizes with tons and activities inside. 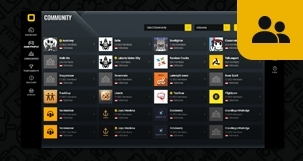 Create your own team to join tournaments and level up! Everything done automatically. Just sit, play, and win! Find other tournaments based on games you play. We offer many popular games from FPS to MOBA for you to challenge friends or other players. Now you can track your activities on your mobile. Do everything right from your pocket. Get a chance to Win cool gaming Merchandise and Virtual daily items. To make it even more fun, we provide features for you to Join, chat, invite your friends, create communities or even collect daily point to redeem prizes. Sweet ! We give you more than just gaming experience. These Terms and Conditions (hereafter “Terms” or “T&C”) apply to web sites and interactive services (hereafter individually a “Service” and collectively the “Services”) owned or operated by PT YAMISOK TECH INDONESIA (hereafter the “Company” or “YAMISOK”) and its subsidiaries and affiliates. By registering for an account and/or becoming a member to participate in any game or tournament offered on yamisok.com and/or any of its subdomains (hereafter the “Site”) you confirm your knowledge of and agreement to be bound by the then most current version of these T&C, which can be accessed from the Site. YAMISOK may modify these T&C at any time, without advance notice. You are responsible for reviewing these T&C periodically for any modifications. Your continued use of the Site following such modifications signifies your acceptance of those modifications. Additional terms may apply to your use of any Service, including contest rules and eligibility. We will provide these terms to you or post them on the website pages to which they apply; they are incorporated by reference into these T&C. If there is a conflict between these T&C and any additional terms that apply to a particular Service, the additional terms will control. The section titles used in these Terms are purely for convenience and carry with them no legal or contractual effect. As discussed in more detail below, YAMISOK RESERVES THE RIGHT TO IMMEDIATELY SUSPEND AND/OR TERMINATE THE ACCOUNT OF ANY MEMBER WHO VIOLATES, OR WHOM YAMISOK REASONABLY BELIEVES MAY BE OR WILL BE VIOLATING, THESE TERMS AND CONDITIONS OF SERVICE, AT ANY TIME WITHOUT NOTICE. Please note that if a member’s account is terminated due to a violation of these terms and conditions, YAMISOK reserves the right to determine how the member’s account balance will be distributed. If any provision of these terms and conditions is found by any court of competent jurisdiction to be invalid, the invalidity of that provision will not affect the validity of the remaining provisions, which shall continue to have full force and effect. No person other than the parties to these terms and conditions are intended to benefit from them pursuant to the Contracts (Rights of Third Parties) Act 1999. This Website is owned by PT YAMISOK TECH INDONESIA (hereafter “Company” or “YAMISOK”), a company registered in Indonesia, whose registered office is at Gading Serpong Boulevard M5 no. 17-18, Gading Serpong, Tangerang, Banten 15810 (Indonesia). These Terms and Conditions were last updated, and became effective, on 20 October 2017. These terms and conditions shall be governed by and construed in accordance with Indonesia law. Disputes arising in connection with these terms and conditions shall be subject to the exclusive jurisdiction of the Indonesia courts where the claim is brought by you, save where you have legal rights to bring any claim in respect of such a dispute in any other jurisdiction. We nevertheless retain the right to bring proceedings against you for any threatened or actual breach of these terms and conditions in your country of residence, registration or business or any other relevant country. By registering for an account and/or participating in any challenge or tournament offered on the Site, you agree that any dispute that cannot be resolved between the parties shall be resolved individually, without resort to any form of class action. You further agree that any legal action arising from any dispute shall proceed only in the Indonesia courts, or as otherwise determined by us, and you hereby submit to personal jurisdiction and venue in such courts for the purposes of litigating any such action. In case any provision in this Terms and Conditions is deemed invalid, illegal or unenforceable in any jurisdiction shall, as to such jurisdiction be ineffective to the extent of such invalidity, illegality or unenforceability without affecting the validity, legality and enforceability of the remaining provisions; and the invalidity of a particular provision in a particular jurisdiction shall not invalidate such provision in any other jurisdiction. 3. at all times comply with these T&C. YAMISOK may at any time require any member to provide proof of eligibility to participate in order to continue to allow such member access to the Site, and each member hereby acknowledges and accepts this condition of their participation as a reasonable measure to ensure the security of the Site. In addition, each member will be required to provide proper identification and proof of eligibility prior to receiving a prize or the processing by YAMISOK of any prize request. Participants may, at their option, pre-register their identification at any time prior to submitting a prize request. FAILURE TO PROVIDE EVIDENCE OF IDENTIFICATION AND/OR ELIGIBILITY SATISFACTORY TO YAMISOK, IN ITS SOLE AND ABSOLUTE DISCRETION, SHALL RESULT IN THE SUSPENSION AND/OR TERMINATION OF THE MEMBER’S ACCOUNT. The information you provide must be a true representation of your credentials. If YAMISOK determines you are registering with purposely incorrect information, YAMISOK reserves the right to close your account. YAMISOK also reserves the right, in its sole discretion, to change and/or suspend/terminate offensive usernames and accounts engaging in offensive acts. In consideration of your use of the Site, you agree to (a) provide accurate, current and complete information about you as may be prompted by any registration forms on the Site ("Registration Data"); (b) maintain the security of your password and identification; (c) maintain and promptly update the Registration Data, and any other information you provide to YAMISOK, to keep it accurate, current and complete; and (d) be fully responsible for all use of your account and for any actions that take place using your account. Knowingly submitting incomplete or inaccurate information, or failing to update and maintain current, complete and accurate information, may result, without limitation, in immediate termination of your account. You are subject to all laws of the province, state, and/or country in which you reside and from which you access the Services, and are solely responsible for obeying those laws. You agree YAMISOK is not and cannot be held liable if laws applicable to you restrict or prohibit your participation. We do not warrant that materials, services or information for sale on the Website are appropriate or available for use outside INDONESIA. It is prohibited to access the Website from territories where its contents are illegal or unlawful. If you access this Website from locations outside INDONESIA, you do so at your own risk and you are responsible for compliance with local laws. YAMISOK reserves the right to monitor the location from which you access the Site and to block access from any jurisdiction in which participation is illegal or restricted. Any member who displays behavior which may be interpreted as the use of unfair methods on the Site, including but not limited to, the opening and/or use of multiple accounts, the use of unauthorized or altered software or hardware to assist play, intentional poor play in certain games in order to achieve a broader competitive advantage (i.e. “sandbagging”), harassment of other participants, posting of objectionable material, any breach of these T&C, or any breach or attempted breach of the security of your account or the Site (collectively, “Abuse”), shall be subject to immediate sanction (as determined by YAMISOK in its sole discretion), up to and including account termination and blocking of Site access and, in the case of any other illegal activity, disclosure to the appropriate police authorities, and legal action at the sole discretion of YAMISOK. 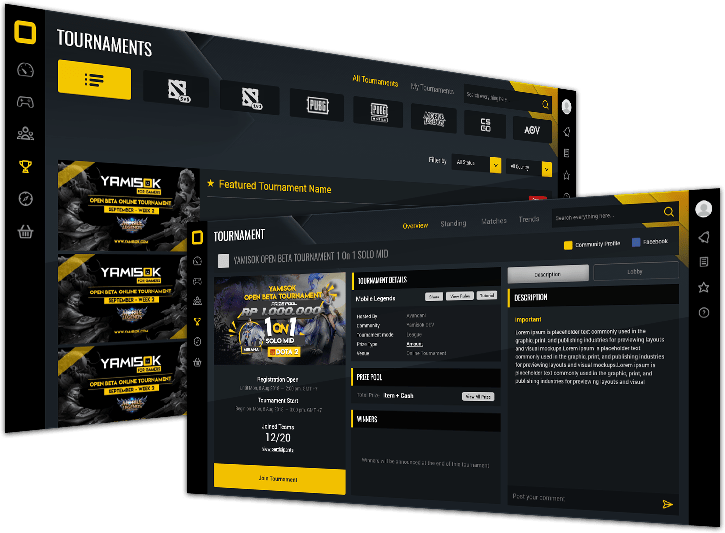 By registering for an account, you agree that the Site may display your username, gameplay data and statistics, tournament records and any other information regarding your gaming activity. By registering an account and/or accepting any prize from the Site, you agree to allow the Site to print, publish, broadcast and use, worldwide, in any media and at any time, your name, picture, voice, likeness, and/or biographical information for promotional, marketing or related purposes without additional compensation. You are solely responsible for the photos, profiles (including your name, image, and likeness), messages, notes, text, information, music, video, advertisements, listings, and other content that you upload, publish or display (hereinafter, “post”) on or through the Service or the Site, or transmit to or share with other users (collectively the “User Content”). You may not post, transmit, or share User Content on the Site or Service that you did not create or that you do not have permission to post. You understand and agree that YAMISOK may, but is not obligated to, review the Site and may delete or remove (without notice) any Site Content or User Content in its sole discretion, for any reason or no reason, including User Content that in the sole judgment of the Company violates this Agreement, or which might be offensive, illegal, or that might violate the rights, harm, or threaten the safety of users or others. You are solely responsible at your sole cost and expense for creating backup copies and replacing any User Content you post or store on the Site or provide YAMISOK. When you post User Content to the Site, you authorize and direct us to make such copies thereof as we deem necessary in order to facilitate the posting and storage of the User Content on the Site. By posting User Content to any part of the Site, you automatically grant, and you represent and warrant that you have the right to grant, to YAMISOK an irrevocable, perpetual, non-exclusive, transferable, fully paid, worldwide license (with the right to sublicense) to use, copy, publicly perform, publicly display, reformat, translate, excerpt (in whole or in part) and distribute such User Content for any purpose, commercial, advertising, or otherwise, on or in connection with the Site or the promotion thereof, to prepare derivative works of, or incorporate into other works, such User Content, and to grant and authorize sublicenses of the foregoing. You may remove your User Content from the Site at any time. If you choose to remove your User Content, the license granted above will automatically expire, however you acknowledge that the Company may retain archived copies of your User Content. YAMISOK does not assert any ownership over your User Content; rather, as between us and you, subject to the rights granted to us in these Terms, you retain full ownership of all of your User Content and any intellectual property rights or other proprietary rights associated with your User Content. 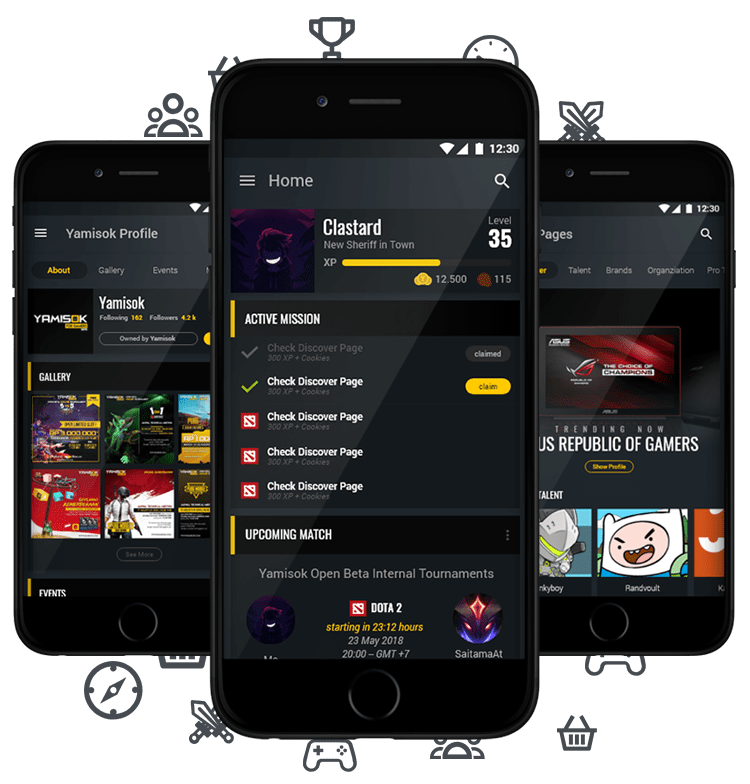 Each member acknowledges that the outcome of the matches and tournaments offered on the Site are directly related to the skill levels of each member participating. YAMISOK does not comment or have knowledge of the probability of one member winning a match vs. another member, and makes no representations about an individual member’s chances of winning. Prizes are generally virtual coins, which are deposited directly into winners’ accounts. so is a violation of both civil and criminal laws and will result not only in the termination of your user account and forfeiture of all premium and free benefits, bonuses and incentives to which you would otherwise be entitled, but potentially also civil and/or criminal prosecution. Members may request prizes they have been awarded at any time. Prizing processing will be suspended for security purposes when account fraud is suspected. If you are not contacted by customer support within 10 business days from the prize request, please contact customer support at support@yamisok.com. Your prizes are awarded to you in their entirety, and all state and local taxes due in connection with any prizes awarded to you are your sole liability. By registering for an account and/or participating in any tournament offered on the Site, you acknowledge that all information contained on the Site may be protected, in all forms and media, by one or more valid copyrights, patents, trademarks, trade secrets, or other proprietary rights, and that all such rights are owned by the Site. All content on the Site and available through the Service, including designs, text, graphics, pictures, video, information, applications, software, music, sound and other files, and their selection and arrangement (the “Site Content”), are the proprietary property of the Company, its users or its licensors with all rights reserved. No Site Content may be modified, copied, distributed, framed, reproduced, republished, downloaded, displayed, posted, transmitted, or sold in any form or by any means, in whole or in part, without the Company’s prior written permission, except that the foregoing does not apply to your own User Content (as defined below) that you legally post on the Site. The Site neither warrants nor represents that your use of materials displayed on the Site will not infringe rights of third parties. While the Site uses reasonable efforts to include accurate and up-to-date information, the Site makes no warranties or representations as to its accuracy. The Site assumes no liability or responsibility for any errors or omissions in the content of the Site. Provided that you are eligible for use of the Site, you are granted a limited license to access and use the Site and the Site Content and to download or print a copy of any portion of the Site Content to which you have properly gained access solely for your personal, non-commercial use, provided that you keep all copyright or other proprietary notices intact. Except for your own User Content, you may not upload or republish Site Content on any Internet, Intranet or Extranet site or incorporate the information in any other database or compilation, and any other use of the Site Content is strictly prohibited. Such license is subject to these Terms and Conditions and does not include use of any data mining, robots or similar data gathering or extraction methods. Any use of the Site or the Site Content other than as specifically authorized herein, without the prior written permission of Company, is strictly prohibited and will terminate the license granted herein. Such unauthorized use may also violate applicable laws including copyright and trademark laws and applicable communications regulations and statutes. Unless explicitly stated herein, nothing in these Terms and Conditions shall be construed as conferring any license to intellectual property rights, whether by estoppel, implication or otherwise. This license is revocable at any time without notice and with or without cause. Any communication or material you transmit to the Site by electronic mail or otherwise, including any data, questions, comments, suggestions, or the like, are and will be treated as, non-confidential and non-proprietary. Anything you transmit, or post may be used by the Site or its affiliates for any purpose, including, but not limited to, reproduction, disclosure, transmission, publication, broadcast, Site promotion, marketing and posting. Furthermore, the Site is free to use any ideas, concepts, know-how or techniques contained in any communication you send to the Site for any purpose whatsoever including, but not limited to, developing, manufacturing and marketing products using such information, without any additional compensation or other liability or obligation whatsoever to you. The trademarks, logos, and service marks (collectively the “Trademarks”) displayed on the Site, including the names of all games, are registered and unregistered Trademarks of the Site and/or others. Nothing contained on the Site should be construed as granting, by implication, estoppel or otherwise, any license or right to use any Trademark displayed on the Site without the written permission of the Site or such third party that owns the Trademark displayed on the Site. Your misuse of any Trademark displayed on the Site, or any other content on the Site, except as provided in the Terms and Conditions, is strictly prohibited. You are also advised that the Site will aggressively enforce its rights (including intellectual property rights) to the fullest extent of the law, including but not limited to, the active pursuit of criminal prosecution and/or civil litigation where appropriate. In accordance with INDONESIA and International law, any notifications of claimed copyright infringement should be sent to us immediately. Such notification can be sent by email, to support@yamisok.com. copyrighted works at a single online web site are covered by a single notification, a representative list of such works at that website. name, address, telephone number, and, if available, an e-mail address. perjury, that you are authorized to act on behalf of the owner of an exclusive right that is allegedly infringed. If you believe in good faith that a notice of copyright infringement has been wrongly filed against you, the DMCA permits you to send Company a counter-notice. Notices and counter-notices must meet the then-current statutory requirements imposed by the DMCA; see http://www.loc.gov/copyright for details. Company suggests that you consult your legal advisor before filing a notice or counter-notice. Also, be aware that there can be penalties for false claims under the DMCA. individual other than yourself, or register for a User account on behalf of any group or entity. age or your affiliation with any person or entity. information of any third party, including, addresses, phone numbers, email addresses, Social Security numbers and credit card numbers. viruses or any other computer code, files or programs designed to interrupt, destroy or limit the functionality of any computer software or hardware or telecommunications equipment. Company, or create a false identity on the Service or the Site. unreasonably harmful or offensive to any individual or community. unreasonably annoy, disturb, or disrupt (particularly with SPAM) any other User. promote, offer or distribute any goods or services protected by law. schemes, illegal multi-level selling or pyramid sales). illustrations in poor taste, inflammatory attacks of a personal, racial or religious nature. refers to such matters in any manner prohibited by law or moral standards. any municipal, state, provincial, federal or international law, rule, regulation or ordinance. use of the Company website. It is your responsibility to determine that your input into our site, including use of any chat room areas of our site, including your choice of your user name, conforms to the above conditions. If you notice any content which breaches these conditions, please notify us by sending an email to __________. (5) users and/or posting and/or sending messages to users that violate their rules. inclusion of an opt-out clause does not necessarily legitimize sending unsolicited e-mail. and the e-mail address of origin. another Internet Service Provider’s (ISP) acceptable use policy and/or terms of service. Employing any mechanisms, software or scripts when using the Company web site. scope of the services available on our web site and in accordance with these Terms. suspension of a member at any time, at its sole discretion. and may void any associated winnings. If you wish to report a violation of our Anti-Spam Policy, please forward all evidence of abuse to support@yamisok.com. Please report responsibly. YAMISOK is committed to taking all necessary measures to prevent anything that gives a member an unfair advantage over another member, as well as to ensuring that the YAMISOK environment is an enjoyable place to work and play. We reserve the right to take immediate action in the event that we believe a member is failing to observe the Code of Conduct, these T&C or any other terms or policies that govern the usage of the Site or Services. As described below, if you are found to be in violation with any of these terms and policies, we may suspend or revoke your account, or the funds in your Account, void your scores, seize funds in your Account to repay members who you have cheated against and/or commence legal proceedings against you. YAMISOK may cooperate with legal authorities and third parties in the investigation of any suspected or alleged crime or civil wrong. YAMISOK reserves the right, in its sole discretion, to take any or all of the steps described above if it determines, acting reasonably, that: (i) you have breached any term of these T&C; (ii) you are participating in any attempt to defraud YAMISOK or the Site through the use of Credit Cards or other methods of payment, regardless of the outcome;(iii) you have failed to honour legitimate charges or requests for payment, or you have ‘charged back’ or denied any of the payments on your account; (iv) you are participating in any attempt to cheat another member through collusion or other techniques, regardless of the outcome; or (v) you become bankrupt or subject to analogous proceedings anywhere in the world. For breaches of the T&C (including the Code of Conduct) that are deemed by YAMISOK, in its sole discretion, to be unintentional or less serious, first time offenders may receive an initial warning and may have their account suspended at the discretion of YAMISOK. Repeat offenders will be deemed to be intentionally violating the T&C. If you are suspected of having violated the Rules of Conduct, YAMISOK reserves the right to suspend your Account, including any access to the YAMISOK site, or freeze the funds in your Account and any Account balance or withdrawals pending for up to six months while an investigation shall occur. 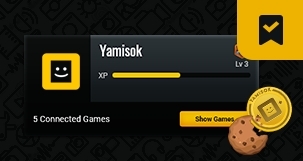 YAMISOK reserves the right to terminate your account, limit or prohibit your participation in any game or tournament. By registering for an account and/or participating in any tournament or game offered on the Site, you consent to allow YAMISOK to access your account information to investigate complaints or other allegations of abuse. All won competitions (if any) may be voided at the sole discretion of YAMISOK. You are entitled to close your Account at any time by contacting Customer Support at support@yamisok.com. YAMISOK will respond to your request within a reasonable time provided that you continue to assume responsibility for all activity on your account until such closure has been effected. YAMISOK is entitled to terminate these T&C immediately on notice (or attempted notice) to you at the email address you have provided. The failure of YAMISOK to enforce at any time any of the provisions of these T&C, or the failure to require at any time performance by you of any of the provisions of these T&C, shall in no way be construed to be a present or future waiver of such provisions, nor in any way affect the right of YAMISOK to enforce each and every such provision thereafter. The express waiver by YAMISOK of any provision, condition or requirement of these T&C shall not constitute a waiver of any future obligation to comply with such provision, condition or requirement. YOU AGREE THAT YAMISOK WILL NOT BE LIABLE TO YOU FOR ANY DIRECT, INDIRECT, INCIDENTAL, SPECIAL, CONSEQUENTIAL OR EXEMPLARY DAMAGES, INCLUDING BUT NOT LIMITED TO, DAMAGES FOR LOSS OF PROFITS, GOODWILL, USE, DATA OR OTHER INTANGIBLE LOSSES (EVEN IF YAMISOK HAS BEEN ADVISED OF THE POSSIBILITY OF SUCH DAMAGES), RESULTING FROM: (I) THE USE OR INABILITY TO USE THE SERVICES; (II) THE COST OF GETTING SUBSTITUTE GOODS AND SERVICES RESULTING FROM ANY PRODUCTS, DATA, INFORMATION OR SERVICES PURCHASED OR OBTAINED OR MESSAGES RECEIVED OR TRANSACTIONS ENTERED INTO THROUGH OR FROM THE SERVICES; (III) UNAUTHORIZED ACCESS TO OR ALTERATION OF YOUR TRANSMISSIONS OR DATA; (IV) STATEMENTS OR CONDUCT OF ANYONE IN CONNECTION WITH THE SERVICES; OR (V) ANY OTHER MATTER RELATING TO THE SERVICES. TO ASSUME THE EXCLUSIVE DEFENCE AND CONTROL OF ANY CLAIM SUPPORTING INDEMNIFICATION, AND IN SUCH CASES YOU AGREE TO COOPERATE WITH US TO DEFEND ANY SUCH CLAIM. YOU WILL NOT SETTLE ANY CLAIM COVERED BY THIS SECTION WITHOUT YAMISOK’S PRIOR WRITTEN APPROVAL. By registering for an account and/or participating in any tournament offered on the Site, you agree that the Site is not responsible for any damage, loss, or injury resulting from hacking, tampering, or other unauthorized access or use of the Site or your account. Any attempt to gain unauthorized access to the Site’s systems or any account, interfere with procedures or performance of the Site, or deliberately damage or undermine the Site is subject to civil and/or criminal prosecution and will result in immediate termination of your account and forfeiture of any prizes to which you are otherwise entitled. 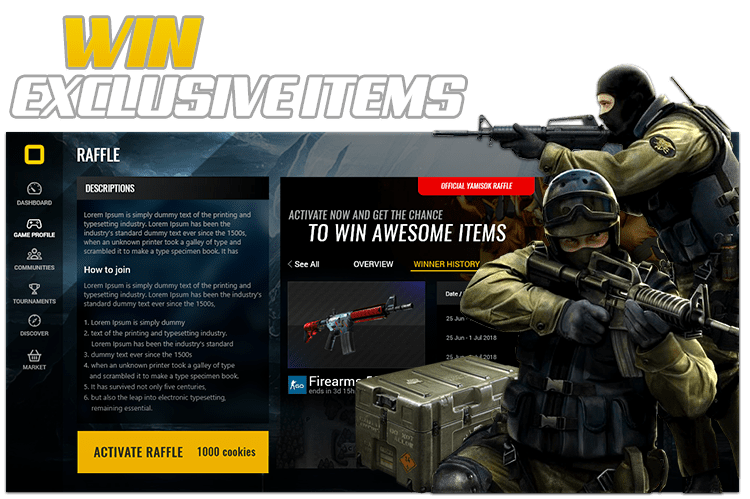 Any attempt to participate in any tournament offered on the Site by means of automatic, macro, programmed, or similar methods, or to otherwise commit fraud with regard to the Site, will result in active pursuit of civil litigation and/or criminal prosecution, termination of your account, and forfeiture of all prizes to which you might otherwise be entitled. When you register on the Site we collect Information through the completion by the user of contact forms and surveys, and through his or her interaction with the Site (for example, which games you play, player rating information and game statistics). Users may provide other information about themselves, in addition to the mandatory Personal Information (hereafter “Voluntary Information”). Voluntary Information include, but are not limited to, information collected when they use features on the Site, such as messages, chats, the “Invite Your Friends ” feature, or when they contact Customer Support. For example, we collect names and e-mail addresses of the user’s friends when the user uses the “Invite Your Friends” feature on the Site. We may also require you to provide additional personal information, such as your name, an avatar, age and address (via a copy of your driver’s license or utility bill), for the purpose of verifying your identity, including your address, in order to participate in our Site. As stated in the T&C, address and identity verification are a mandatory part of the withdrawal process. We collect two types of information from you when you visit the Site: non-personally identifiable information (hereafter “Non-Personal Information”); and personally identifiable information (hereafter “Personal Information”). Certain technical information related to your visit to the Site may be automatically recorded. This information is anonymous and does not identify you personally. Non-Personal Information includes, but is not limited to: the Internet domain for your Internet service provider; the Internet Protocol (IP) address of the computer accessing the Site; the address of the last webpage that you visited prior to clicking through to the Site; the browser used and the type of computer operating system that your computer is using; information about your computer hardware; the date and time that you visited the Site; and a record of which pages you viewed while you were visiting the Site. Other information such as demographic information, which does not identify an individual, is also considered Non-Personal Information. Gaming Information (described below) is also considered Non-Personal Information. 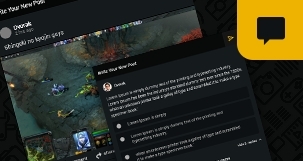 When you register for a free user account (a “Free Account”), you consent to our collection of Personal Information including your email address, for the purpose of validating your address, and in order to market upcoming game tournaments and email to reminders and promotions regarding the activity on the platform. If you choose to create an account which will allow you to enter cash games and tournaments (a “Cash Account”), you will be required to provide additional information such as (a) your name, date of birth and mailing address, for the purpose of ensuring that you are permitted to create an account based upon your age and where you reside, and that you comply with the T&Cs, and (b) gender, should you agree to provide same, for the purpose of YAMISOK better understanding the demographics of our players. If you choose to make a deposit into your Cash Account, you will also be required to provide information relevant to your payment method (for example your credit card number and expiry date). 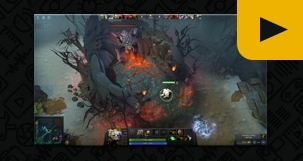 We may include footage of gameplay in promotional materials such as trailers which may be displayed on the Site, or on website run by other parties including those of our marketing partners. For example, we may display highlights, “frag of the week” or similar content. This content may also include the use of Gaming Information. In addition to collecting Personal Information directly from visitors to the Site, we may also collect Personal Information from third parties such as marketing partners to which permission has been granted to share that information with us. The Site is maintained in the Indonesia. If you are located outside of the Indonesia., by using the web site, you authorize the import of their information and its use, as specified in this Policy. From time to time YAMISOK and third parties may hold, use or disclose your Personal Information outside of INDONESIA, and while outside of INDONESIA such Personal Information may be accessed by regulatory authorities pursuant to the laws of such other jurisdictions. These third parties may be located in Indonesia, United Kingdom, United States or elsewhere. With your consent, we may also disclose Personal Information you provide us to third party marketing partners who provide products, information or services you have expressly requested and which we believe you may be interested in purchasing or obtaining. In situations or instances when YAMISOK deems it necessary, YAMISOK may disclose Personal Information without prior notice or choice, as required or permitted by applicable laws. If our business enters into a joint venture with or is sold to or merged with another business entity, your information may be disclosed to our new business partners or owners and we may transfer your Personal Information to the party or parties involved in the transaction as part of that transaction. You are entitled to see the personal information held about you and you may ask us to make any necessary changes to ensure that it is accurate and kept up to date. If you wish to do this, please contact us at support@yamisok.com. We are entitled by law to charge a fee of £10 to meet our costs in providing you with details of the information we hold about you, but we may at our discretion waive this charge. In most cases, when we do collect Personal Information directly from an individual, the Purposes for which the individual provides us with the information will be clear, and as such, consent to the collection and use of Personal Information for those Purposes will be implied by use of the Services. If we choose to use Personal Information already in our possession for a purpose that was not identified at the time we initially collected the information, we will seek the consent of the affected individuals before using this information for the new purpose. Please note that if the new purpose is required or permitted by law, YAMISOK is not required to seek the consent of the affected individuals and may not do so. Individuals may withdraw consent to the collection, use and disclosure of their Personal Information at any time, subject to certain restrictions set out in applicable privacy legislation, but should recognize that by doing so they may be unable to utilize the Services and products offered on the Site. When a member uses the “Invite Your Friends” feature, we rely on that individual to obtain the consent of their friend to allow us to use that information to invite them to create a user account. Further, we require that our advertisers and partners ensure the security of the data that Users provide to them, however, in the event of a breach of their security measures, User agrees that YAMISOK will not be liable for any losses or damages. YAMISOK limits access to personal information about Users to employees, for whom we reasonably believe it is necessary, in order to provide products or services. YAMISOK reserves the right to amend this Policy at any time, in the event that this becomes necessary after initial release, or in the event that it becomes necessary with respect to additional, deleted, modified or amended services provided by Company. PT YAMISOK TECH INDONESIA will not personally notify you of any amendments to this Policy. Users are urged to check this Policy frequently in order to determine whether any changes have been made. Users understand and agree that continued use of the Company web site assumes that they have read and accepted this Policy, as it may be amended from time to time.